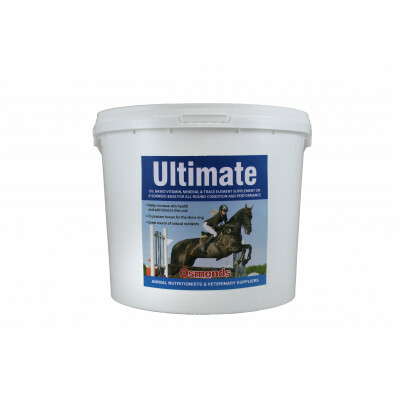 OSMONDS EQUINE ULTIMATE is an all round conditioning supplement with a high level of oil. It contains Vetoxan® to help regulate the gut. It is a similar type product to OSMONDS CODLIVIT and was developed to feed to animals that are performing under rules. Norwegian Seaweed replaces the Cocoa Bean Husk in OSMONDS CODLIVIT. 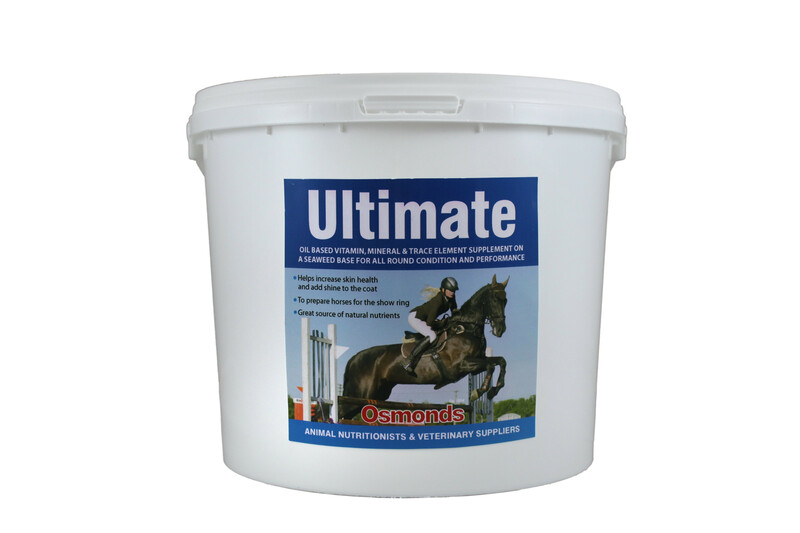 OSMONDS ULTIMATE now contains Diamond V Probiotic Yeast, which helps in keeping horses fit. Osmonds Ultimate can be fed to animals performing under rules. Due to high iodine levels we do not recommend Osmonds Ultimate is fed to in-foal mares.